Whether you need to install or repair your boiler, Boilers On Tap provides a wide range of services to meet your needs. We provide support 24 hours a day, 7 days a week, and you can be confident that our team will deliver high-quality workmanship. We carry the best boilers on the market, and our experienced and trusted staff have a proven track record for reliable and efficient service. All our Gas Safe registered engineers will ensure installations and repairs are carried out properly and safely. We also provide free, no obligation quotes for all our services, including boiler installations and repairs. Boilers On Tap installs a wide range of boilers from some of the best manufacturers in the industry, including Alpha, Ariston, Baxi, Glow Worm, Worcester Bosch, Potterton, Vaillant, and Vokèra. We can design and install full central heating systems, and we can install any equipment for your heating system from radiators to thermostatic valves and wireless room thermostats. All boilers and heating systems are installed by our qualified and insured engineers, and new boilers are backed by manufacturer guarantees of up to 7 years. We are also proud to offer increasingly popular combination or Combi boilers, which are more efficient and reduce the space needed for installing heating systems in your property. 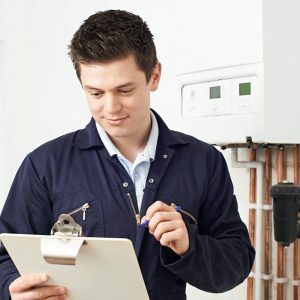 Our detail-oriented team provide extensive servicing and inspection services to ensure your boiler and heating system are working safely and properly. Well maintained and serviced boilers are more efficient and safer, and can reduce the likelihood of costly repairs down the road. Properly maintained boilers also reduce the change of dangerous carbon monoxide leaks and can extend the life of your boiler. 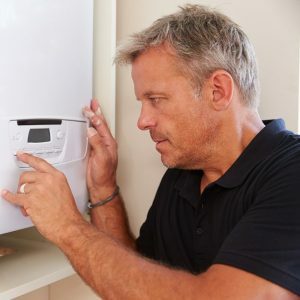 Our experienced engineers are trained to identify and resolve any boiler problem that you might encounter. 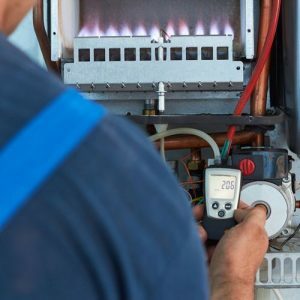 Whether you are facing a boiler breakdown or loud noises coming from your unit, our engineers are equipped and experienced to deal with any issue no matter how big or small. We can typically resolve most boiler problems within a couple of hours, and we use high-quality parts and materials in all our repairs. We are also proud to offer you a free repair assessment and 24-hour emergency call-out service. Boilers On Tap offers highly effective power flushing for your heating system. When sediment and sludge accumulate in your pipes and radiators, the effectiveness and efficiently of your boiler becomes compromised. If you hear loud bangs coming from your boiler or notice cold spots and uneven heat distribution on your radiators, a power flush may be needed. By flushing your pipes and radiators with high velocity water and high-quality cleaning and anti-corrosive products, we can remove debris and dirt from your heating system to improve efficiency.